Jubilee Memorial Bible College now offers Master of Theology degree in the Pastoral Theology & Counseling disciplines. JMBC is introducing Master of Theology in Pastoral Theology and Counseling in the academic year starting in June 2015. Applications are invited from qualified candidates. A minimum of second class in M.Div. or B.D. from ATA or Serampore with at least one year of ministry experience is the basic qualification to appear for the entrance exam.. Limited academic scholarships are available for meritorious students with proven records. Opportunities for counseling practicum under the supervision of well trained resident professors/practitioners are available. Internationally acclaimed teaching faculty are in the teaching team. For more details write to academicdean@jmbc.ac.in. JMBC makes concrete efforts to teach students to live according to the evangelical truths revealed in the sixty-six books of the Bible. With the graduation and commissioning service on 20th of March another academic year has come to a close. We thank our almighty God for leading us this year. Sixteen men and women stepped out of this institution after being trained for two three, four and even five years. They will embark on a new journey as pastors, preachers, teachers, evangelists and pioneer missionaries. They came to us from diverse backgrounds and culture. Each with their unique disposition, talents, personality, and temperament lived and contributed in this community, studied and worked with people who were very different from them. Now they are sent out with the backing of our prayers and this is our prayer for the sixteen graduates this year; they may walk in His steps (I Pet 2:21). The graduation address was brought by Prof. Dr. Col. James Thomas. Jubilee Memorial Bible College was inaugurated in 1984 by Rev. 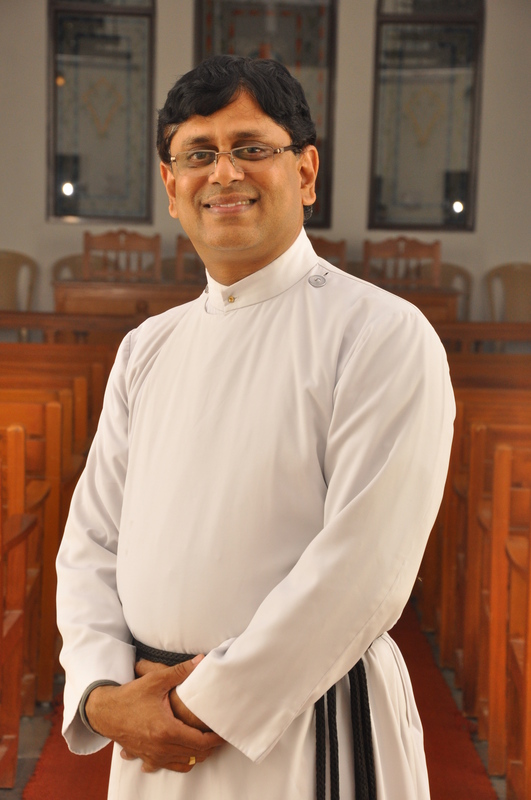 K. O. John, then General Secretary of the St Thomas Evangelical Church of India, in a very small campus adjacent to the St Thomas Evangelical Church of India, Madras Parish building, with 8 single men students and a single resident teacher. Our Library had only one book, the Holy Bible. Our teacher had no salary, but was sustained by the salary he drew as the pastor of the Madras Parish. We have come a long way. 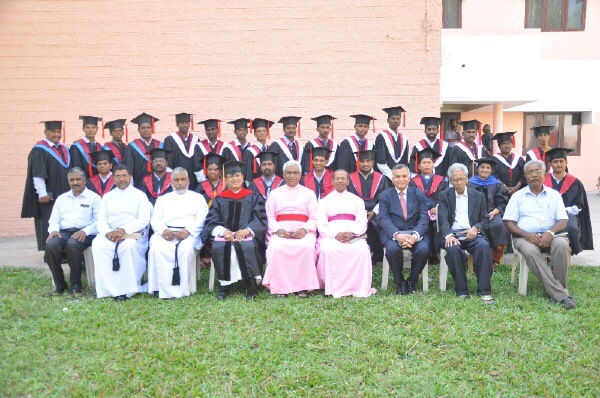 Today, JMBC is a premium Evangelical Theological School in India, with a beautiful and large campus, a well equipped library with about 25,000 volumes of books and about 100 periodicals, with a full fledged Faculty, at least one with M.Th in each department and so on. We have three accredited programs running successfully, which you can discover from the pages on this website. We praise God for the very many people who did their part in making JMBC what it is today. We strongly hold on to the motto of the college, ‘IN HIS STEPS’ which was strongly emphasized and exemplified by Very Rev. P. T. Chandapilla, whose vision has by and large shaped JMBC. 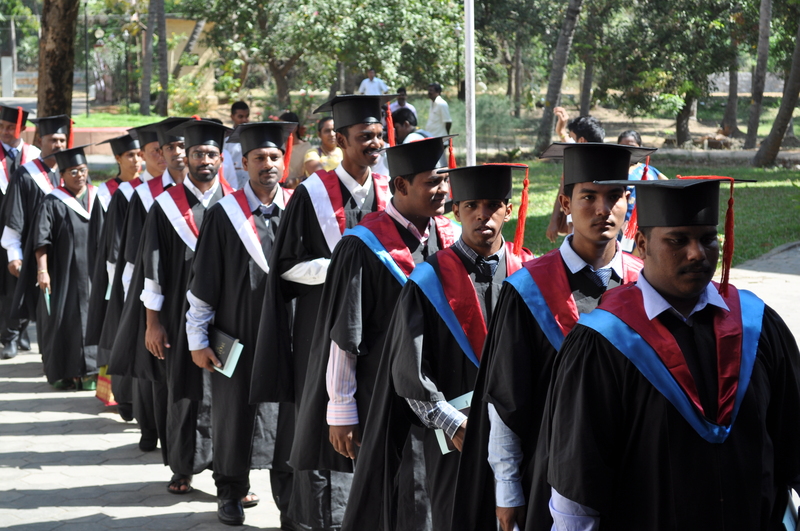 We praise God for our graduates who come from over 22 denominations and about 20 different states of India now serving God in not less than five different countries. Our story has to continue. We invite you to be part of this great movement, if you are led of God to do so. You may be a part of us by being a student at JMBC, by contributing to the needs of JMBC, (for more information contact principal@jmbc.ac.in) by recommending us to other friends and by praying for us. May the Living Lord guide you as you browse through the pages of this website.